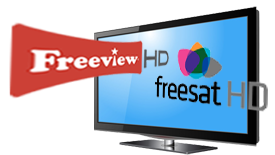 Freeview is the easiest way to enjoy digital TV for free. With up to 50 digital TV channels to choose from on FREEVIEW there's something to keep everyone entertained. Not to mention 24 digital radio stations, better picture and sound quality and many interactive features when you press the red button on your remote control. There ia no contract or subscription with freeview, simply buy a digital box, digital TV recorder or digital TV, plug it in and away you go. Where you live and the age and condition of your aerial will determine whether you may require a new roof top or loft aerial to receive digital terrestrial TV (DTT). Aerialwork can advice you on all aspects of freeview TV reception call 07974 435 166 or use the call-back request below and we will call you back. 2009 © Aerialwork All Rights Reserved.